The one day event was followed the next day by the Inaugural Defence Housing Australia Summit, which also attracted a diverse audience to hear a range of speakers provide an overview of the DHA itself, as well as addressing a number of subjects from information for potential investors to the experiences of the wives and families of Defence personnel. The Defence Support Services Summit was chaired by Aurecon’s head of business development, Defence and Government, David Barnes and delegates heard from a wide range of presenters from both the Defence Support and Reform Group and across industry. Subjects canvassed included how to deliver integrated services and effectively partner with Defence, how SMEs can successfully utilise innovation to deliver major projects, how to visualise the hard decisions on prioritising future assets and budget and what represents value for money in Defence facilities. A number of case studies were also presented, including strategies being used to optimise the delivery of aircraft pavement maintenance across Defence and how the US Department of Defense has used private sector partnership mechanisms to deliver improvements in environmental performance at several vast bases in the continental United States. From a Defence Support and Reform Group (DSRG) perspective, delegates to the Summit heard presentations from deputy secretary Steve Grzeskowiak, Bob Baird, executive director capital facilities processes and compliance in the Capital Facilities and Infrastructure branch and Mark Jenkin, head of Delivery Support Operations. Innovation joined Integrated Project Delivery and Building Information Modelling as one of the major recurring themes throughout the day as Defence looks to upgrade an ageing estate with fewer APS personnel to manage them. Steve Grzeskowiak noted that the replacement value of the Defence Estate is stable at $74 million but he would like it be actually be decreasing. “One of the major issues we face is, 72 major bases, 400 properties – not a very different figure from five years ago,” he noted, saying that in a model world Defence needed to be consolidating those numbers to lower figures. Grzeskowiak also noted that he has had to reduce APS staff numbers by around 250 over the past two and a half years and these will continue to fall for at least a further two years. “So that is leading us to look at how we increase the effectiveness of our workforce and how we manage the program going forward with less resources,” he noted. 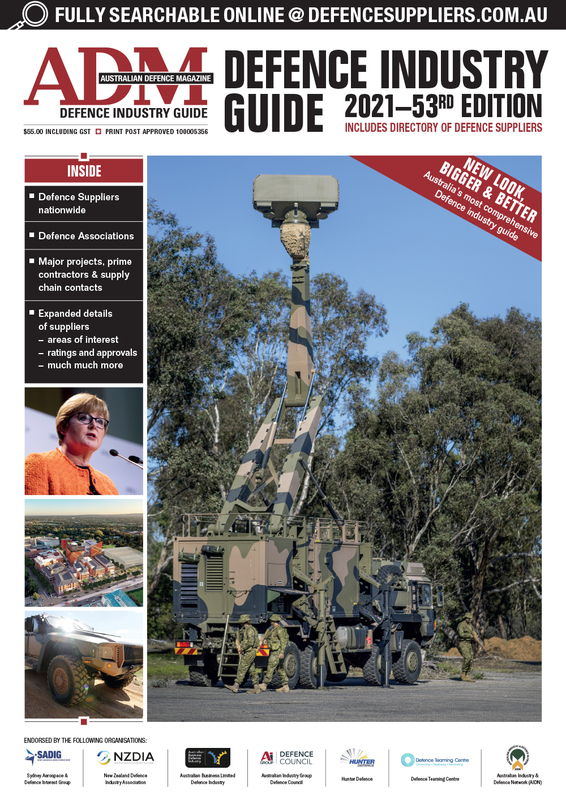 As with other areas of the Defence department, DSRG is undergoing scrutiny under the government’s First Principles review and Grzeskowiak said he would be engaging with the review team immediately after the Defence Support Services Summit. He also told delegates that, with the acquisition shopping list in the current DCP underfunded by almost $12 billion it was difficult to ask for more money, even though the Defence Estate was currently under-resourced. “How do we make the case for an increase in funding in our world?” he asked. Bob Baird noted that the number of infrastructure projects currently going out to market was around 30, but this would increase to 82 in the 2017/18 budget and challenged industry to not only be innovative but to also consider expanding BIM beyond the building being delivered under the project to take in Precinct Information Modelling. Mark Jenkin gave an overview of the recent contracts awarded in the Base Services Retender program and told delegates the onus was on his department to develop nationally consistent standards and to get Defence to agree on those standards. With regard to the current batch of BSR contracts he said that they were now in a three-month transition period, with contracts in Western Australia and the NT commencing on October 1, followed by the remaining states on November 1 and December 1. He also identified estate upkeep through more efficient risk management as an area which needs a more detailed approach. “We need a more mature and consistent approach to risk management and my vision is for risk management to become part of DSO culture,” he said. Brian Middleton, senior industry solutions director, government and defence with Bentley Systems told Summit attendees that Defence needed a mature understanding of Building Information Modelling, but noted there was an appetite to change. He also told industry representatives that they must also understand what it was they wanted and what they needed to deliver but warned they needed a clear understanding of what BIM is themselves. “BIM is not a product,” he said. To illustrate the point he said that in Bentley’s estimation, when information (data) drops by just eight per cent, employee effectiveness drops by as much as 50 per cent. He also said that it was important that facilities managers are involved in the project from day one because they understood what was needed to operate the infrastructure from the outset. To enable industry to better understand BIM and the advantages it can bring, Middleton said that Bentley has set up a number of BIM Academies in the UK, the United States and South East Asia. “BIM is people, process and technology,” he advised. Marko Misko, a partner with law firm Clayton Utz told delegates that DSRG was developing a new suite of project delivery documents, which incorporate not only BIM but also IPD principles. He said a new IPD ‘umbrella agreement’ will establish an integrated project delivery team and agreed objectives but will not set out detailed obligations. 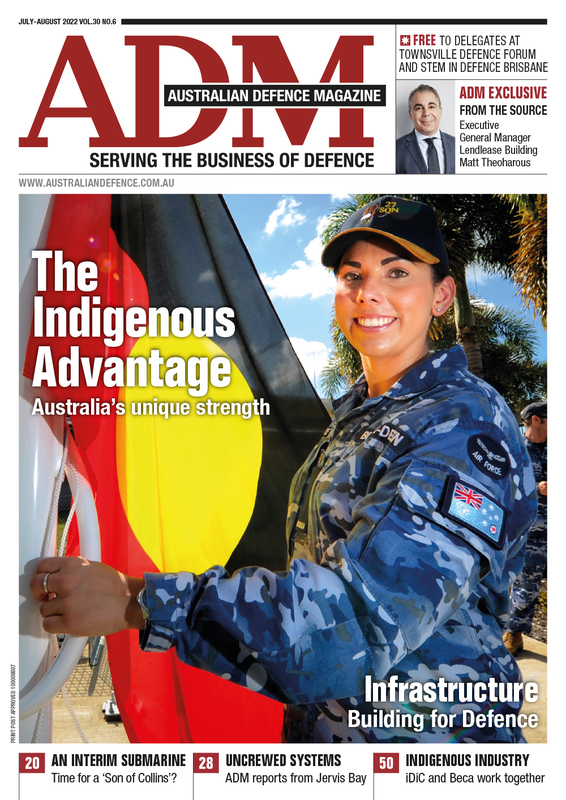 The inaugural ADM Defence Housing Australia summit was held on the day following the Defence Support Services Summit and was chaired by Vern Gallagher, general manager Strategy and Innovation for DHA. The keynote speaker was Peter Howman, managing director of DHA, who provided delegates with a brief history of the organisation and how it conducts its business. Howman said that the requirement is to provide housing within 30 km of a base, something which is becoming increasingly difficult to do in many cases, as cities have grown around bases that were once outside suburbia. He also noted that one of the key functions of DHA was to attract and retain Defence members by providing desirable accommodation and estimates that there is around $1.5 billion worth of construction underway today. The current DHA portfolio is worth more than $10 billion with an average age of just nine years. “We can affect the whole outcome of the construction industry in some areas,” he said, noting also that DHA housing development shapes communities well into the future. Mark Jenkin from DSRG also spoke at the summit, representing Defence as DHA’s customer. “Defence has a commercial relationship with DHA, a service agreement and a shared understanding of what it is we are trying to achieve,” he said. Representing Defence families, Robyn Ritchie, national convenor of Defence Families Australia presented a thought provoking insight into some of the problems faced by families of Defence personnel when they are deployed. She explained that Defence Families Australia was an official independent advisory body and canvassed a range of housing-related concerns her organisation has dealt with over the years, from the authorisation of maintenance while the member is deployed to the sometimes long commutes a partner has to endure when working in the area of a Defence base. Ritchie noted that Canberra, Sydney and Wagga were the hardest areas for Defence families due to the cost of living for Defence families.